Craig Swart TEP is an Advocate of the Royal Court of Jersey and a partner of the firm. He is also a qualified South African attorney (non-practising) and English Solicitor (also non-practising). Craig joined Dickinson Gleeson in January 2014 from Mourant Ozannes. Craig advises trustees, directors, fiduciaries, settlors and beneficiaries in relation to a wide range of non-contentious and contentious matters involving trusts, companies, foundations and partnerships. 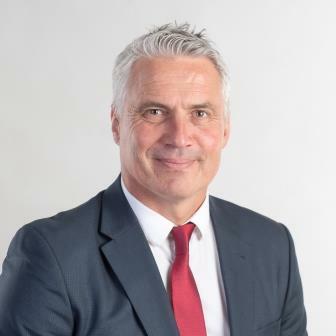 He also has extensive insolvency and asset tracking experience and assisted Anthony Dessain and Michael Wilkins with the publication of the third edition of Jersey Insolvency and Asset Tracking. Craig has been acting with partner James Gleeson for the defendants in the long running Consolidated Resources Armenia v Global Gold Consolidated Resources Limited and two others ( JCA061 and  JRC233A); an unfair prejudice action where the plaintiff, CRA, tried unsuccessfully to side-step an arbitration agreement. He was also involved in the matter of ENRC v Zamin Ferrous  JRC217 concerning further disclosure in injunction proceedings; and continues to act for the incoming trustee in the ongoing proceedings concerning the “Z Trusts” [2015 (2) JLR 175], two trusts that are “insolvent” and which face a multitude of claims. Craig is characterised by clients as “incredibly tenacious, very solution-driven and very pragmatic” (Chambers 2017). He is also noted as being “very good at non-contentious trust work.” Market sources say that his “drafting is very good” (Chambers and Partners 2016). And he is furthermore described as “personable and knowledgeable” (Legal 500 2016); and a client has had this to say: “A natural leader, Craig always puts his client at the top of his priority list, indicative of the first class professional that Craig is to the satisfaction of both individual and corporate clients” (Citywealth Leaders list 2016).